As a college quarterback at the state university, her father Eagle Day became a household word, idolized by many fans. Eventually, he spent fourteen years as an outstanding professional, both in the U.S. and Canada. Her mother gained renown as a twirling teacher, ultimately gaining recognition in the national twirling hall of fame. Her twin brother emerged as a leader in the pharmaceutical industry. The young lady, Diana, became a majorette at her parents’ alma mater, Ole Miss, known formally as the University of Mississippi. She transitioned into TV broadcasting. While still very young, she became President of a global telecommunications company. Moving to Nashville, TN she married, gave birth to a beautiful daughter, and formed friendships with big names in the country music business–with several of them living in her neighborhood. Sounds like a formula for just coasting, doesn’t it? Affluence, influence, and surrounded by whatever she might want to purchase. Why not simply remain satisfied with the good hand life had dealt her? Yet Diana Lynn Day-Cartee chose not to coast. She started noticing that many people around the world lacked not only her luxuries–they lacked the essentials of nutrition, health care, shelter, education, freedom to worship, safe drinking water, and supportive families. So she chose a cause. 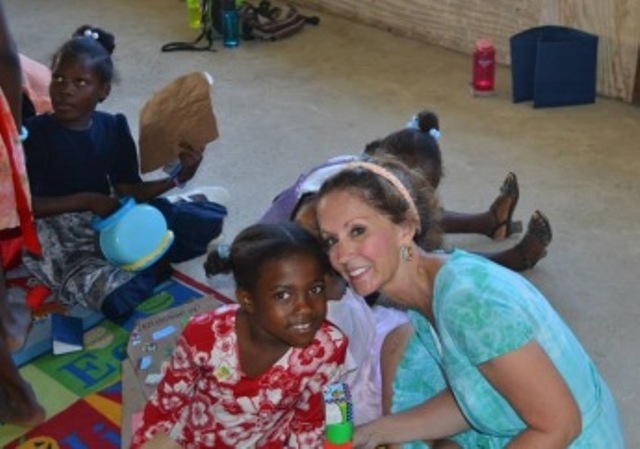 She became immeasurably generous with children in the remote village of Neply. Neply is part of Haiti, the poorest country in the Western Hemisphere. Illiteracy, unemployment, and hopeless living conditions abound. Diana chose to attack those problems. Diana and I will welcome your comments. Go to the end of the blog entry in the section below and click NO COMMENTS if none have been made, or if comments have been made click 1 comment, 2 comments, or whatever the comments button says. The comments section will appear.